Think about how many times you’ve seen that message in your inbox over the last year. How did it make you feel? What did it make you do? And even if you recognized the sender, wouldn’t it have been better if he had given you a reason to connect? The connection request is the single most important transaction we do on LinkedIn. It’s the foundation of our network, and the key that opens doors to new opportunities. Yet most of us do it wrong. Thousands, probably tens of thousands, of times a day, LinkedIn users send generic connection requests — messages that contain LinkedIn’s generic messaging and therefore give no “context” for the connection. And that’s a shame. The LinkedIn connection request is a perfect opportunity to remind your potential connections of who you are, what you have in common and how you can help each other. It’s a great way to make a good first impression, and it’s an easy way to stand out. But LinkedIn doesn’t make it easy. The site is littered with “connect” buttons that automatically send a generic message. These buttons appear in search results, in groups, on the People You May Know page. They’re everywhere. The only way you can be 100% certain that you can send a personalized connection request is to go to your target’s profile page and click the connect button there. 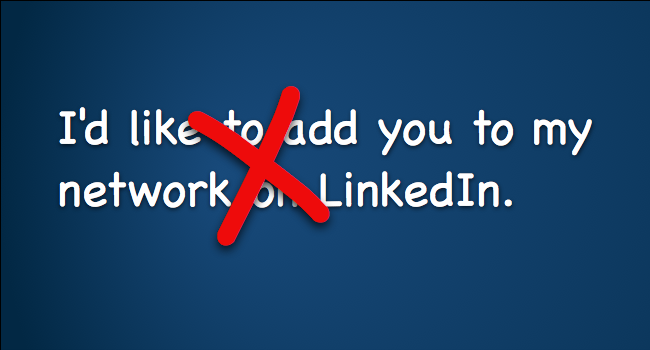 When you do, you’ll link through to LinkedIn’s message window, and you’ll get a chance to write a personalized message. Make it brief. You have to, because you’re limited to 300 characters. And you can’t include phone numbers or email addresses. Always address your target by name, and say something specific. Give them the context for your connection request. And if there’s any chance they might not remember you, remind them how you met. You’ll find that the more specific you are, the easier it is for people to respond. You’ll also find that reviewing your target’s profile before making the request can help you decide what to talk about. Look for information you didn’t know before, for new jobs or promotions, or skills that you might have missed. Keeping these ideas in mind will help you make more effective connection requests, and will make you look like a networking pro. This post was shared in the June 2015 edition of the Hauppauge Reporter from the Hauppauge Industrial Association. We covered connection requests in early 2013, Why Your Connection Requests Fail.